This is the first pressing. A repress also exists with a 'F Communications' label code (LC 01347) and PIAS catalog number (137.0104.130). Written and produced at the "Stupid 55" Studio. 'Analog Worms Attack' album is coming soon. Released under license by PIAS Benelux, PIAS Recordings & PIAS Germany. Distributed by PIAS France, UK by Charged / Vital, Germany by Connected. Both B-Side tracks are really distorted, are they supposed to be like that? Classic case of the underrated B side here folks. Forget Flat Beat, Monday Massacre is the true hero. The compilation "New Hits 99" features a 2:56 version of this, about the same length as the VHS promos listed above. No UK promo CD is listed here, but I do remember the version played on UK radio at the time being quite short, so maybe this was it. Still a fresh and groundbreaking release. Just want to mention Monday Massacre - I remember hearing that when I was about 14 years old, and it blew me away - I could listen to the chilled out final minute forever, which is the epitome of cool but melancholy French electronic music (and bettered some of Air's efforts by some margin). THIS is the beginning of "Fidget House"! Firstly, this is the record that started the Fidget House trend (People like Herve, Crookers, Micky Slim), as it has wonky basslines, heavy minimalism, and the overall quirkiness of it all (but M-Seq released a year beforehand is quite possibly the first fidget track ever made, though). Secondly, this is one heck of a classic stomper, and at least 8 years ahead of it's time! 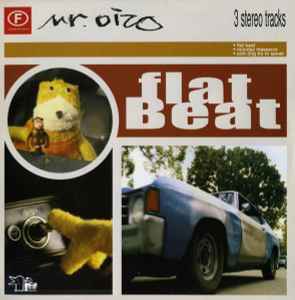 The video featuring that imfamous Flat Eric is priceless, plus his other lesser known works are just as fun and good as well. Worth the purchase, and will still work on the dancefloor in 2009!